Whether you're headed into trial, or just some motion practice, being able to turn your case into a compelling story is critical to swaying a judge and/or jury. While applying the law to the facts might put your case at a disadvantage, if you can get the fact finder to see things from your perspective, it'll be more difficult for the judge or jury to rule against you. But, unless you have clearly sympathetic facts, crafting a strong story for your case can be more challenging than it sounds. Below are five tips on crafting your case into a story. The first place to start when looking at your case is "the Justice" (with a capital J). 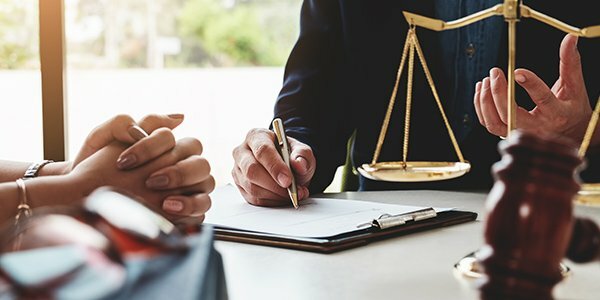 Basically, you want to identify what the most grievous result would be to your client if the case is decided against them. Then, you want to impress on your factfinder that it is their duty to provide justice and prevent that result from happening (or just generously compensate your client for their injury). If you have a not-so likeable client, you have to work with what you got. Find out what about them is going to make them the most relatable to a jury or judge, and push that narrative hard. Even the devil can be shown to have positive, admirable qualities ... after all, he does provide people with opportunity, fame and fortune, and apparently can play a mean fiddle. Although some judges may not be so thrilled with dramatic openings, closings, and witness examinations, juries tend to respond well to attorneys that are good storytellers. Don't be afraid of stretching your acting chops (aka presentation skills), and definitely don't be afraid to practice in front of a mirror, video camera (your smartphone), and/or mock jury. If you feel like you need help, sign up for an acting class. If there's a piece of smoking gun evidence, or some other big fact that makes all the difference, or turns the case into an open and shut matter, set up and deliver that big reveal over and over and over again. Yes, literally do it at least three times. In your opening, during examination, and in your closing. Like the idea of repeating the big reveal, finding a "hook" or some other theme/motif that you can keep bringing the jury back to, can help develop your case's story. Literally, the hook should be something that grabs the fact-finder so strongly, they can't get it out of their minds. Think: "If it doesn't fit, you must acquit."